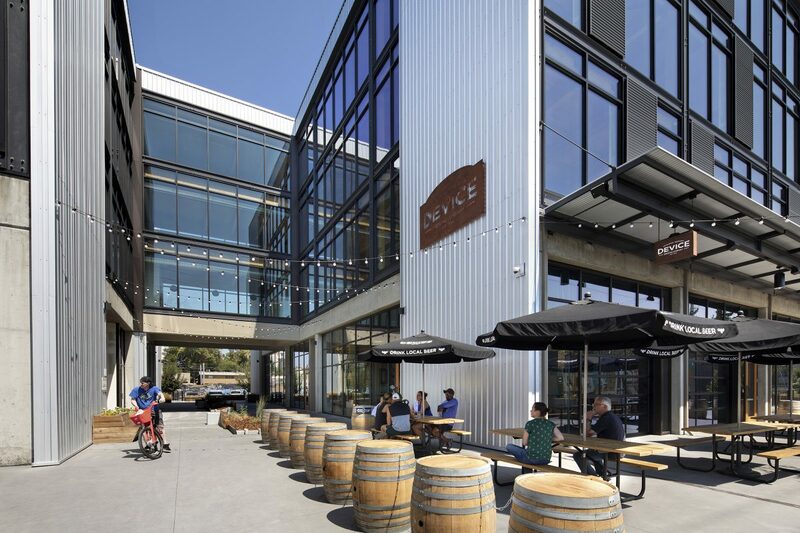 ICE Block 1 is a modern interpretation of the timber frame construction techniques that built Sacramento’s historic R Street corridor in the early 20th century. 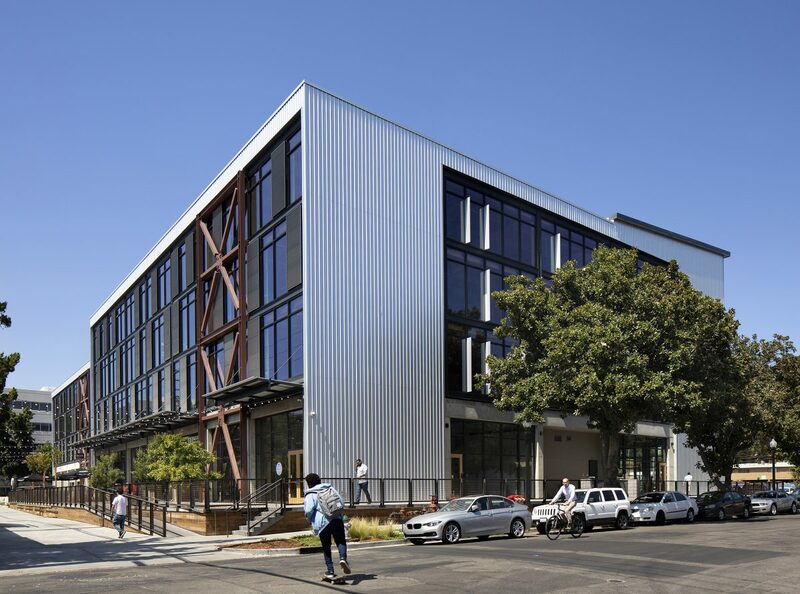 After its predecessor, the Crystal Ice and Storage facility was destroyed by fire in 2015, RMW embraced the challenge to design a commercial infill project that would play a supporting role to the fully evolved urban arts and entertainment district in Midtown Sacramento. 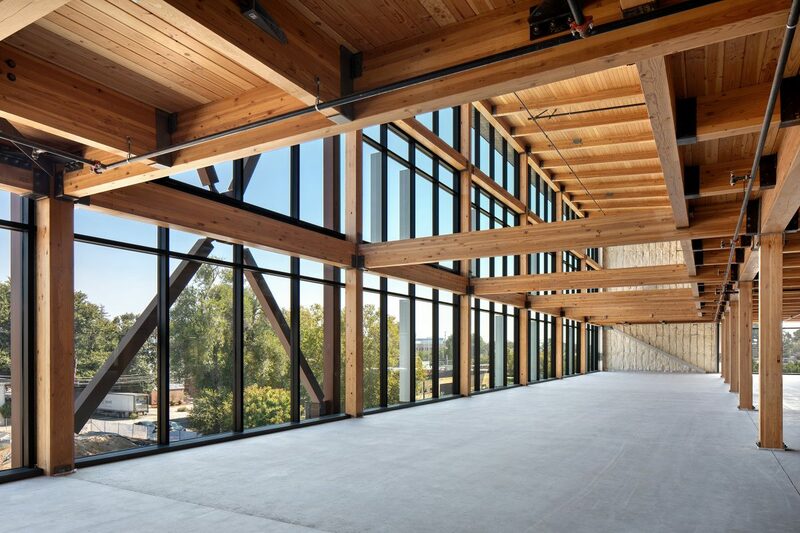 The first timber-framed midrise to receive construction permits in Northern California, and the first to start construction, ICE Block 1 rises out of the ground from an exposed concrete podium, then springs into the sky above the second floor supported by laminated mass timber framing, bolted together with raw steel connectors and Fir decking at the floor levels. 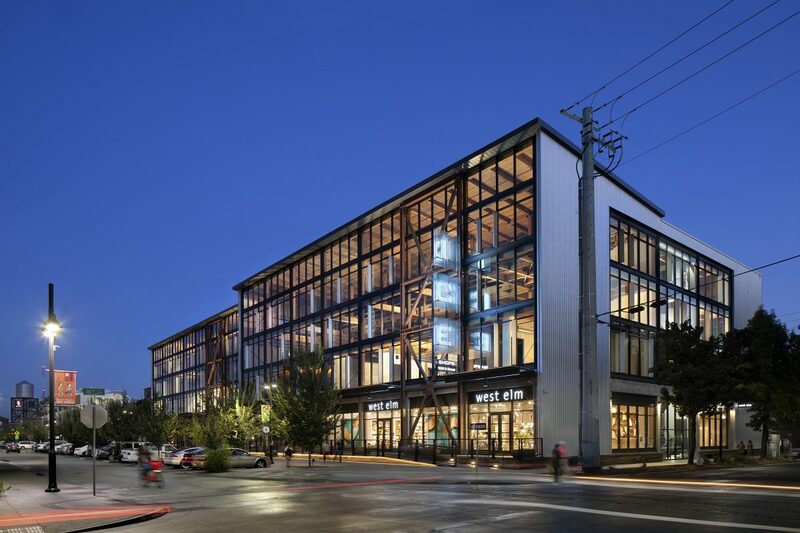 The substantially clear glass walls display the interior wood framing within, effectively marrying the office interiors with the street scene and minimizing visual tension between the structure and its environment. Its staggered east and west wings break the scale of a single block facade to create a more comfortable ratio within the context of the neighborhood. 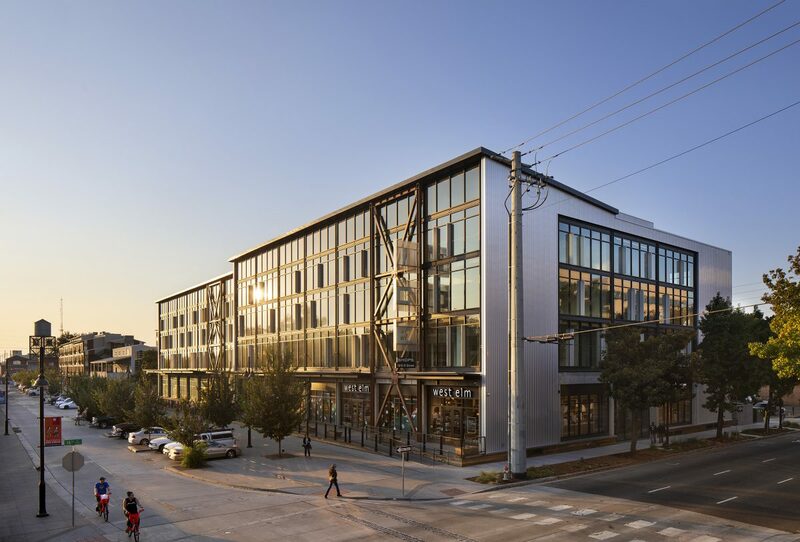 Extending Midtown’s retail options on R Street beyond 16th Street, ICE Block ground floor tenants include West Elm, Device Brewery and Mendocino Farms. Offices on the upper three floors are currently occupied by Anton DevCo, ConSol Energy Sustainable Solutions, and the Dudensing law firm. 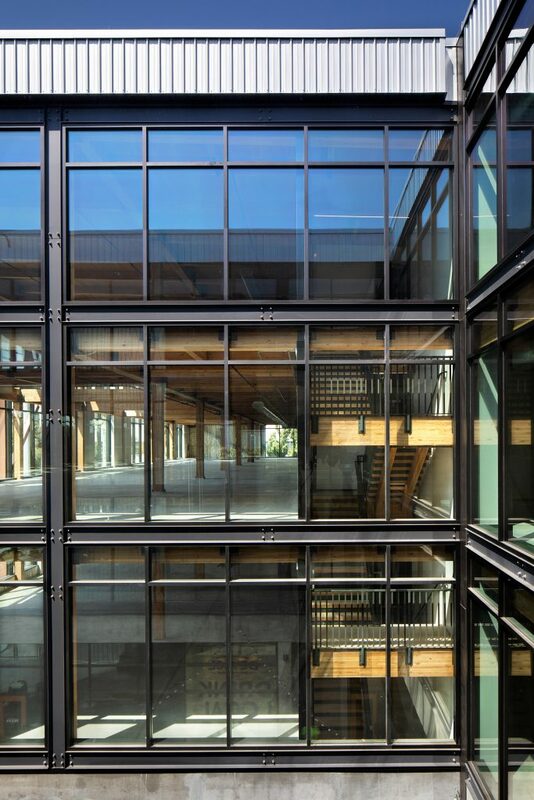 Beyond the story of the building’s engineering and design, the inhabitants of ICE Block 1 will experience the beauty and biophelic benefits of this transformative wood built environment.